The Birch Park Outreach Center, in collaboration with the West Springfield Housing Authority, provides free nutritious snacks and a full dinner daily for all its participants. The goal of Y-AIM is “to provide talented underachieving at-risk youth entering the 9th grade with a solid support system throughout all four years of high school” as a means to assure high school graduation, pursuit of higher education, and access to gainful employment in the global marketplace. The objectives of Y-AIM are to increase the attendance rate for all students, increase the graduation rate for all students, and to develop youth education and employability skills. By achieving these objectives, students will show improvement in core subjects, pass MCAS Exams, increase performance and participation in PSAT, SAT and ACT exams, increase post-secondary options for high school graduates, and develop effective leadership skills for the future. Y-AIM support services include, one-on-one tutoring, academic tutoring, outreach center credit recovery, report card incentive, college exploration tours, workforce readiness, skills explorations and job placement, life skills workshops, goal setting, problem solving/critical thinking, financial literacy, conflict resolution, and entrepreneurship. This is a place where teens become leaders in their community! 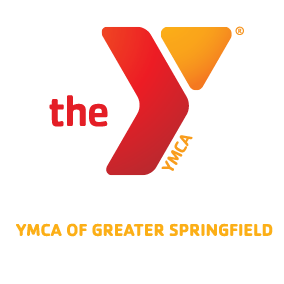 Leaders Club is designed to offer young adults the opportunity to develop leadership skills as they provide volunteer service within the YMCA and their community. Sessions and events are balanced with values discussions, peer relationship building, and programs targeted at managing all aspects of a young adult’s daily life. Leaders Club members participate in several social outings, including leaders rally weekends that include hundreds of leaders from all over the Northeast region. This program is extremely hands-on and is managed by an elected executive board of peers and a YMCA advisor. For more information on Leaders Club, contact Danielle Krzemien (Leaders Advisor) at dkrzemien@springfieldy.org. Our Youth In Government motto is “Democracy must be learned by each generation.” Every person can make a difference. Youth In Government helps participants acquire skills that benefit them for the future. As a YMCA program, Youth In Government focuses on the core values of caring, honesty, respect and responsibility. 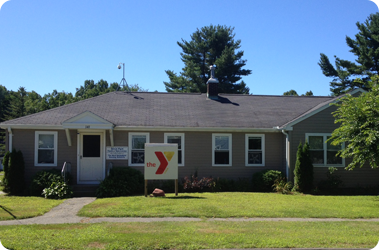 For the Y, strengthening the foundations of the community is our cause. Teens are encouraged to be active in their communities by fostering debate and problem-solving about local issues. We believe this program helps build informed, inspired, and service-oriented leaders for the future. High school students in grades 9-12 and limited numbers of middle school students (middle school students serve as legislative pages) are encouraged to participate. Bi-weekly meetings are held locally for 60-90 minutes. All delegates participate in all-day state Pre-Legislative Conferences on three Saturdays over the course of the program year. The Model Government Conference is held in early Spring over three days in Boston. Officers attend leadership training before the conference. All participants are expected to complete any missed school work. For more information on Youth In Government, contact Danielle Krzemien (Youth In Government Advisor) at dkrzemien@springfieldy.org. Be a part of the journalism world! Take filed trips to News, Radio and Television stations. Write News/Editorial articles and have them published in real newspapers.